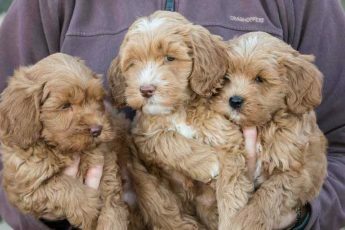 Here you will find a collection of useful articles about the Australian Labradoodle breed, selecting a breeder, breeding practices, caring for your puppy and much more! “They don’t have a pedigree because they are a crossbreed…” Pull the other one! Crossbreeding is not a valid excuse for a lack of pedigree. 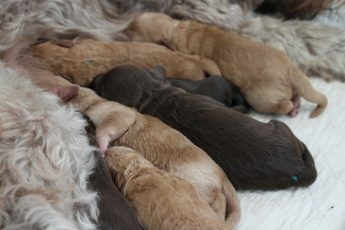 Learn about the role of professional breeders in the dog world. Cheap puppies are usually cheap for a reason and like with many things in life, you tend to get what you pay for. 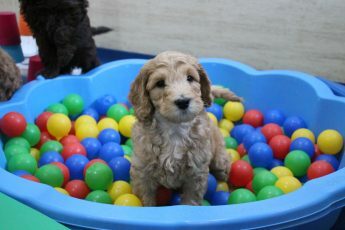 What makes our Australian Labradooodles allergy-friendly? Dander is the most common cause of dog-related allergies in humans. Dander is essentially millions of microscopic skin cells which are released from the dog’s body every time that an individual strand of the coat dies. This is what makes shedding dogs almost impossible for allergy sufferers to live with, since millions of individual hairs die and grow every single minute! We are fortunate that our Australian Labradoodles do not tend to suffer from any major health conditions. Of course, any individual dog of any breed could be unfortunate – no dog is immune from disease - but our Australian Labradoodles are generally healthy compared to most. In this article, we discuss the two methods that breeders can use in efforts to minimise the risk of their puppies suffering from genetically inherited conditions.